Made from an incredibly light pure cotton fabric, this blouse is effortless. It features a stripe print that has a crafted almost hand drawn appeal, and a tie at the nape of the neck that adds just the right amount of detail. 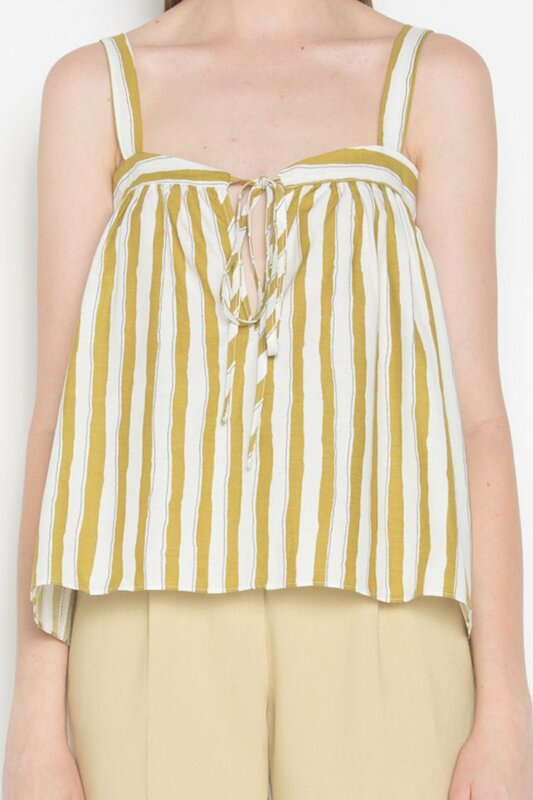 This billowing tank pairs well with skinny jeans for a summer evening look.